Hamas Movement affirmed in a press statement on the 41st anniversary of the Land Day that resistance is the only way to the Liberation of the Palestinian people and land. Hamas renewed its promise to avenge al-Qassam martyr Mazen Fuqaha who was assassinated last Friday in Gaza. “Israeli crimes will explode the entire region and threaten the international peace”, it said. Hamas called for taking the Land Day as an opportunity to reach a real reconciliation based on the Palestinians rights and constants as well as the refusal of cooperation or coordination with Israel. It also called on Arabs and Muslims to prioritize the Palestinian Question and stressed the role of the issue of al-Aqsa Mosque and Occupied Jerusalem in uniting the Muslim and Arab nation. On March 30 of each year, Palestinians mark the anniversary of the Land Day which goes back to 1976. Israeli forces on that date confiscated Palestinians’ lands in Galilee in 1948 Occupied Palestine. This was followed by clashes between Israeli forces and Palestinians resulting in the martyrdom of six Palestinians as well as the injury and arrest of hundreds of others. Over 10,000 Palestinians in 1948 Occupied Palestine participated on Thursday in the peaceful march in commemoration of the 41st anniversary of the Land Day. The march kicked off from Sakhnin town passing through Arrabeh to Deir Hanna towns. The march started from the cemetery of martyrs who fell down in the Land Day clashes with Israeli forces that took place in 1976. The march was attended by Palestinian political, intellectual and national figures. Speeches were delivered in the massive event that addressed Israeli ceaseless violations against Palestinians since the time of Nakbah in 1948. The speakers condemned Israeli offensive policies including Adhan ban bill, confiscation of land, home demolition as well as completely razing and evicting of villages as happened in Umm al-Heiran village. 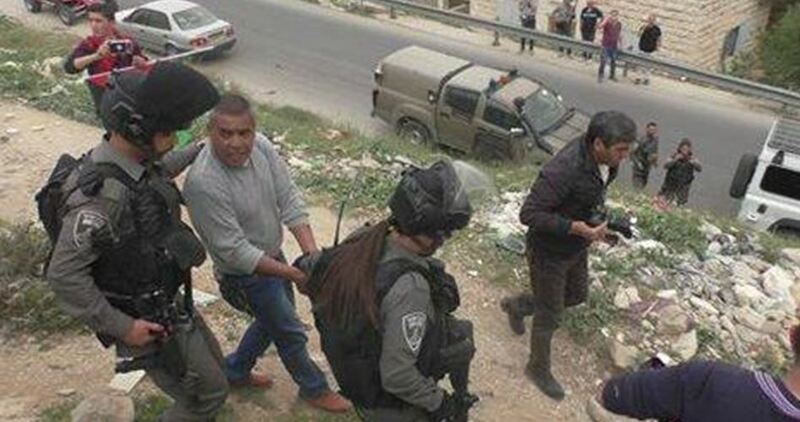 Israeli Occupation Forces (IOF) arrested on Thursday four Palestinian activists of the National Campaign to Lift the Closure of the Old City of al-Khalil during the commemoration of the 41st anniversary of the Land Day in Jaber neighborhood close to Kiryat Arba settlement. 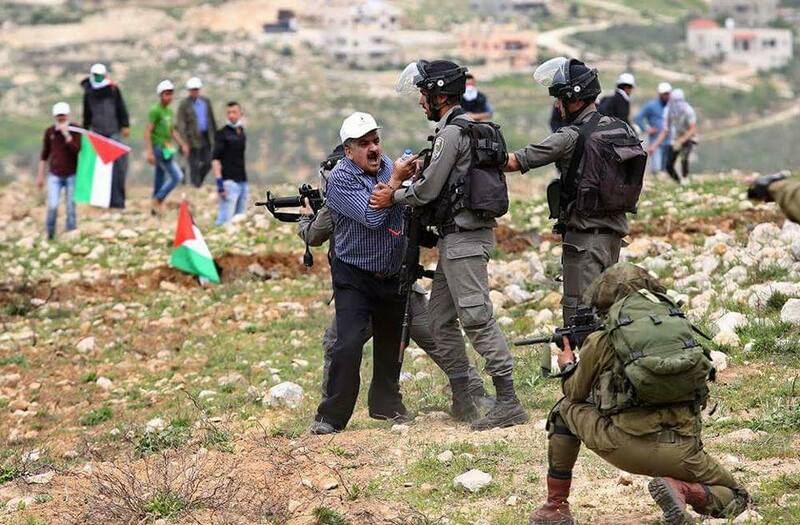 Human Rights Defenders Assembly in al-Khalil said that a group of settlers, who escorted the IOF troops, assaulted the Palestinian activists while participating in the event. 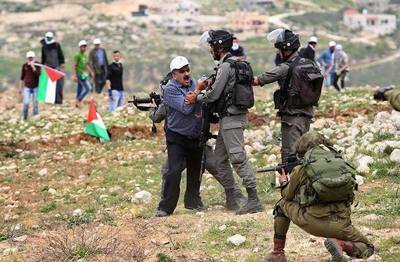 The IOF soldiers quelled the Land Day commemoration event, arrested the four activists and evicted others from the place, the assembly added. 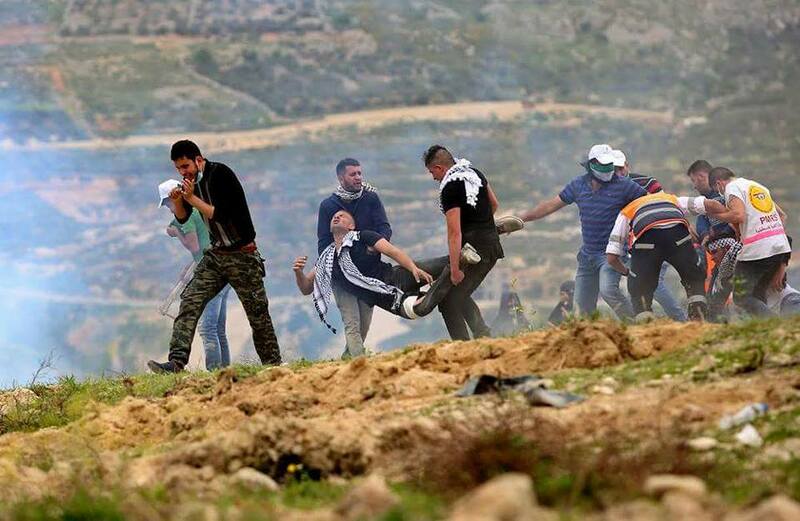 Dozens of Palestinians on Thursday were injured after Israeli Occupation Forces (IOF) quelled anti-occupation peaceful marches held in commemoration of the 41st anniversary of the Land Day in Nablus and Bethlehem. The PIC reporter in Bethlehem said that the IOF soldiers on Thursday afternoon violently attacked the anti-occupation march which was organized by Islamic and national factions. 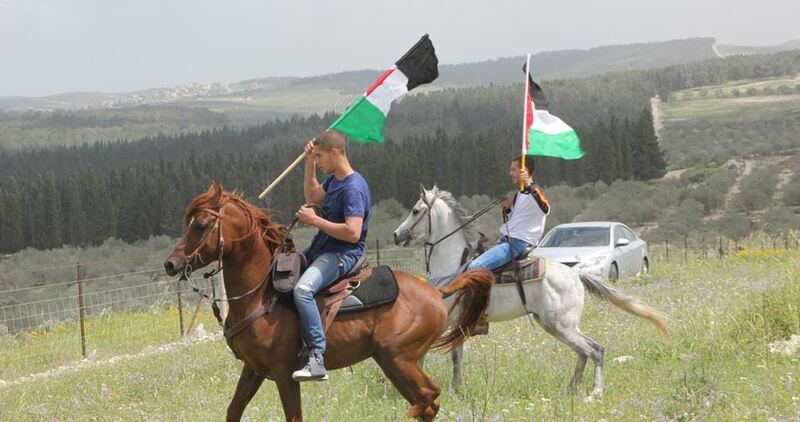 The march kicked off from the Orthodox Club in Beit Jala and headed to Kerizman area where the Israeli occupation authorities had built a fence that cordoned off thousands of Palestinian dunums in that area, he added. Activists along with school students and people of the city participated in the march and carried the Palestinian flags amid and chanted slogans against Israeli occupation. The IOF troops showered the participants with tear gas grenades upon approaching the Separation Wall, which led to suffocation cases among many of them. 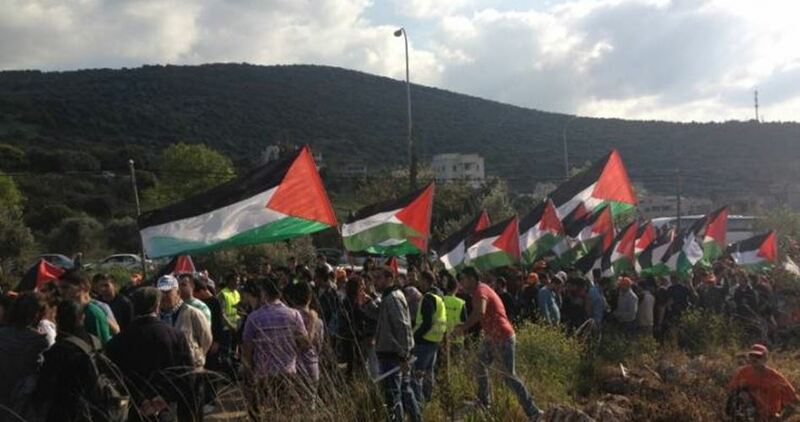 In Nablus governorate, IOF soldiers quelled the anti-occupation march that kicked off from Madama town, south of Nablus city, and headed to the confiscated lands close to Yitzhar settlement in order to plant olive trees in that area. Israeli forces, who were deployed in the area, fired rubber bullets and tear gas bombs at the participants leading to scores of live and rubber bullet injuries among the marchers. Others choked on tear gas, the PIC reporter pointed out. Israeli soldiers attacked, Thursday, Palestinian protesters marking the 41st anniversary of Palestinian Lands Day, shot at least fifty with rubber-coated steel bullets, and caused dozens to suffer the effects of teargas inhalation, in Madama village, southwest of the northern West Bank city of Nablus. The Palestinian Red Crescent has confirmed that its medics provided treatment to at least 50 Palestinians, who were shot with rubber-coated steel bullets, and dozens who suffered the severe effects of teargas inhalation. The procession was organized by the National Committee against the Annexation and Colonies, and headed towards the southern area of the village, to plant olive trees in Palestinian lands that were illegally confiscated by Israel, close to Yitzhar illegal colony. The protesters chanted against the ongoing Israeli violations and escalation, and demanding the return of all illegally confiscated lands, in addition to calling for national unity. The soldiers instantly started firing rubber-coated steel bullets and gas bombs at them, wounding 50, and causing dozens to suffer the effects of teargas inhalation; among the wounded was Anan al-Ateery, the deputy governor of Nablus, and Khaled Mansour, a member of the leftist Palestinian People’s Party. Ehab Tahseen, a member of Madama Village Council, said the Palestinians will always plant their lands, despite the ongoing Israeli theft of their property, and added that the protest was held in the village due to the significantly-increasing attacks by fanatic colonist settlers, and the illegal annexation of dozens of dunams from the villagers. Nablus Governor, Lieutenant Akram Rajoub, said the Palestinians will remain steadfast on their lands, and will increase the popular protests against the illegal occupation and its colonists, and added that Madama was subject to serious Israeli assaults and violations. On that day, the Israeli army killed six Palestinians, injured 96 others and abducted more than 300. Israeli forces, on Thursday afternoon, fired teargas and sound grenades towards Palestinian protesters who took part in the annual Land Day demonstration. Today, on Thursday, March 30, Land Day was marked with the usual demonstrations in memory of the seizure of 21 thousand dunams of land in Al-Jalil, Al-Muthalth and Al-Naqab on March 30, 1976. At around 11 am, a march began from Beit Jala and went on until it reached the unfinished fence which marks a part of the Israeli apartheid wall, at the outskirts of Beit Jala. Here, protesters put up Palestinian flags and set fire to a tire placed on the fence. The burning tire, along with the use of an improvised battering ram, was a symbolic attempt to remove part of the newly built fence, according to the PNN. The symbolic attempt quickly came to an end, as Israeli soldiers interrupted the protest. As soon as an armored jeep with two soldiers arrived, clashes broke out. The protesters threw stones towards the soldiers, to which they responded with generous amounts of teargas and sound grenades. A bit later, a police jeep arrived and stopped alongside the military jeep. At this point, the teargas and sound grenades had forced protesters to retreat and disperse. No serious injuries were reported. On Thursday, March 30, the Palestinians marked the Land Day to demonstrate their devotion to their motherland and resistance to the Israeli land grab policy. Since 1976, Palestinians have been holding vigils and seminars to mark the Land Day, in an act epitomizing collective resistance to the Israeli policy of appropriating more Palestinian lands. Statements issued by national Palestinian factions on the occasion stressed Palestinians’ commitment to their homeland and to armed resistance. A series of anti-settlement marches and rallies is also expected to take place across the occupied West Bank to commemorate the Land Day and speak up against Israel’s land grab policy. The events of the Land Day date back to 1976, when the Israeli authorities swallowed large Palestinian tracts of land in the Galilee, resulting in deadly clashes with the Palestinian locals. 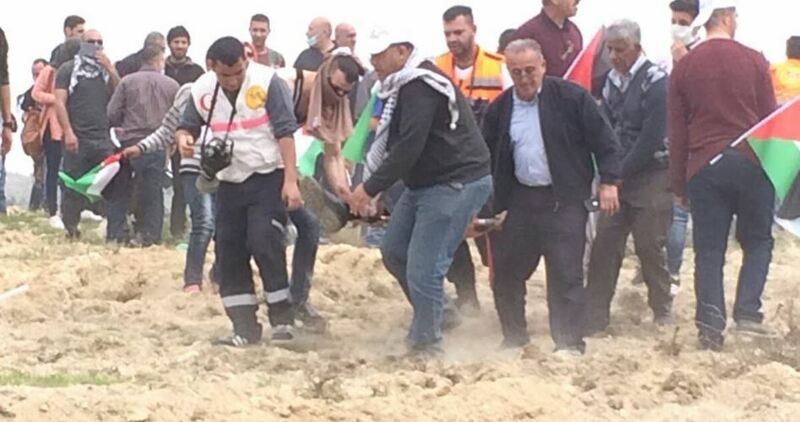 Six Palestinians were pronounced dead, hundreds were left injured, and several others arrested. 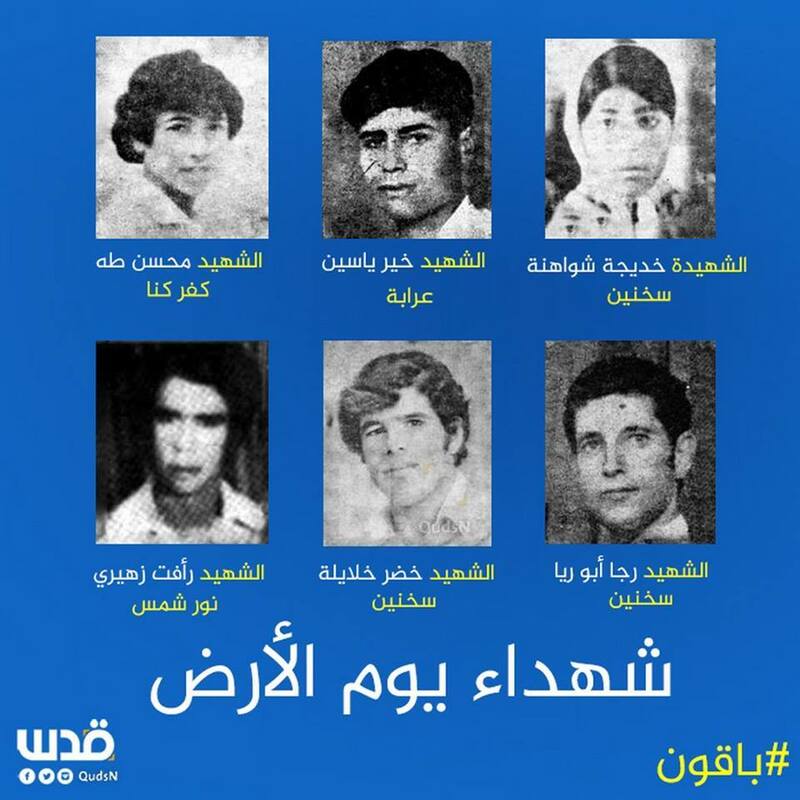 On March 29, 1976 a mass demonstration swept Deir Hana town in protest at Israel’s land grab and massacres against the Palestinians. Other protests ensued, resulting in simmering violence and terrorism by the Israeli soldiers and their settler mobs. 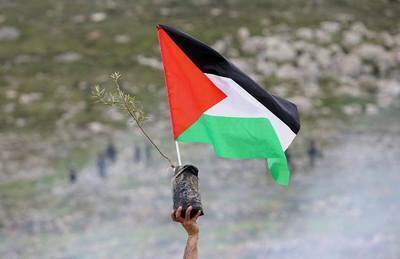 An important annual day of commemoration in the Palestinian national political calendar, the Land Day is marked not only by the Palestinians but also by anti-occupation activists all over the world, signaling a pivotal event in the struggle for the land.